Zamdroid: How to divide head into two and insert and insert a widget. How to divide head into two and insert and insert a widget. The beauty of blogger or blog platform relay on what people see first. As the saying goes first impression matters. If you want to advertise on newspaper or magazine - you will see different prices when it comes to front page. So blog header is as important as Newspaper front page. Are your a pro blogger or beginners? What do you think about your blogger head (blog header)? 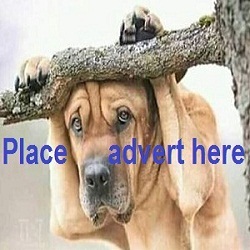 If you don't know and if you must advertise for people then make you of header. The price for header suppose be higher than other parts. I want to show you the best way How to divide header and place widget or gadget in your blog header for advertisement or any other purpose. Many people subscribe in buying or downloading free blog theme or template. Is good but it has implication of you sharing your traffic. If you notice most free or buy template cause the blog to be slower compared to the original theme. Building your clean blog theme template is the best. See how to divide blog header into two. Go to blog theme (backup first) click edit icon. check the highlighted code here.